A military clinical psychologist is an incredibly important job. You may have heard about how sometimes, soldiers come back from war and they have a difficult time re-adjusting to civilian life. Between the horrors they saw while they were at war and missing their families for months or even years at a time, it can be a lot for one person to handle. Even being at war for a few weeks is enough to cause some soldiers turmoil. For this reason, a military psychologist is both necessary and important. Military psychology is a branch of psychology that deals solely with military personnel and their families. After all, it's not easy for those who are left behind when a soldier has to go to war either. Sometimes, military families need help just as much as their loved one serving active duty. Here in the U.S., each branch of the military has its designated military psychologists to assist members of the Army, Navy, Marines, and Air Force. While the idea of military psychology is not new, it has only recently come to experts' attention just how important and necessary the field truly is and how many military families can truly benefit from such a service. Because such a need has been recognized, it is expected that the field of military psychology is going to grow in the coming years. This translates to mean that there will be a greater need for more military psychologists shortly, so if this is a career that interests you, you may want to look into getting the necessary training. This career can be a challenging one for sure, but it can also be just as rewarding to help veterans and their families cope with their time in the service. And it's not only after soldiers come back from war that a military psychologist becomes an important asset. Military psychologists are essential at every step of the process. In the beginning, military psychologists can evaluate recruits to help those in the armed forces select the right people for the job. Military psychologists can also help soldiers cope while they're still away and give them tips for acclimating smoothly back into civilian life upon their return. 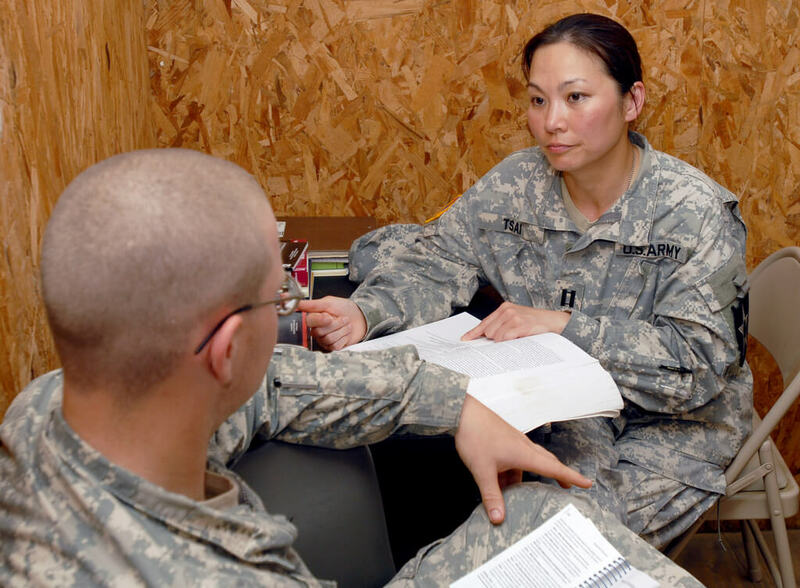 Just like a regular doctor, you need to have a Ph.D. to become a military psychologist. Areas in which to obtain such a degree include general, clinical, or counseling psychology. Some military psychologists double as service members, while others are civilians working as psychologists. The difference between a military psychologist and another psychological discipline is that you can choose to pursue a military psychology degree at a military school, rather than through a traditional college. If you choose to pursue your degree at a military school, you may be rewarded with the opportunity to have your tuition and on-campus living expenses paid by the military while you earn your degree. Once a student has earned his or her Ph.D., his or her work is not yet complete. From there, the student will be required to complete an internship. The internship is usually for about a year, and the student has the option to select whichever branch of the military most appeals to him or her in which to complete a said internship. Military psychologists earn similar perks to those who enlist in the military, such as sign-on bonuses and potentially paid-for tuition and room and board. However, there may be some caveats to these benefits. For instance, the U.S. Navy requires students to provide three years of active service in exchange for having their tuition paid, plus a $2,000 per month stipend for living expenses. The navy also requires students to complete what is called "Officer Development School" while they are on break from their normal studies. This comes about while the student is completing his or her Ph.D. part of the degree. There are also, of course, certain scholarships that are available to those who are pursuing a career in - or working with - the military, which is also a nice perk. Once they have earned their degrees and have secured a job in the field, military psychologists' salaries vary widely. As you gain more experience and have been in the workforce for longer, your pay can go up. Some clinical military psychologists have been known to earn, on average, between $95,000 and $120,000 per year. Soldiers experience arguably unparalleled levels of anxiety and depression after coming back from the war, so surely there are nuanced ways to treat such conditions, right? An army psychologist, for instance, meets with a recruit before the recruit is even permitted to begin his or her career. This is so that the psychologist can determine whether the recruit is stable enough to handle the kind of life that s/he is about to take on. Military psychologists can also help during a soldier's deployment. After all, it can be pretty terrifying to spend hours in the air, traveling to a country you've never visited, and for potentially shooting and killing the enemy. That's some pretty heavy stuff. Not to mention the depression a person can feel over having to leave his or her family behind for months on end, missing out on birthdays, Christmases, school plays - everything. In this case, the psychologist will meet with the soldier before he or she leaves home to counsel the soldier to treat any potential mental disorders before the soldier leaves home. 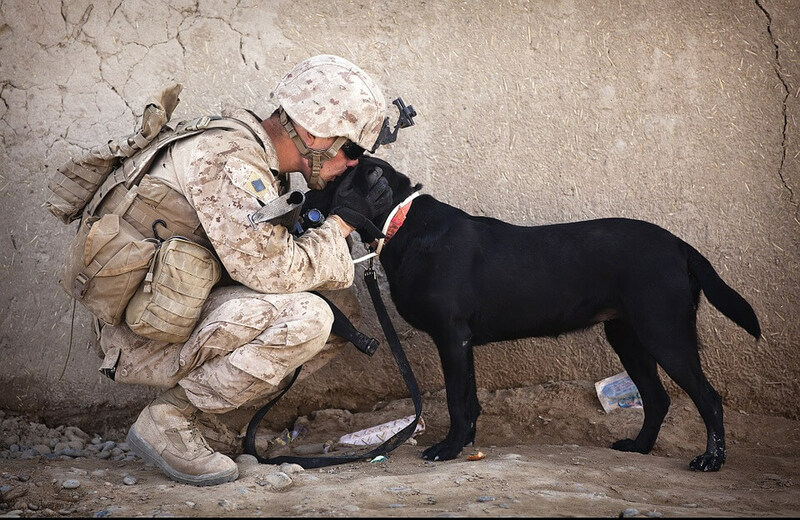 The psychologist can help the soldier cope with any depressive thoughts he or she might be having or anxiety over having to live in a foreign country for a while. 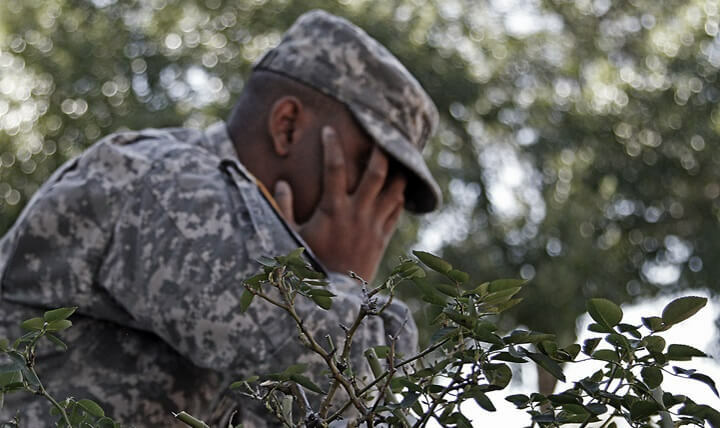 Upon a soldier's return, he or she may be struggling with depression or PTSD. In these cases, a military psychologist will offer the same kinds of treatment that another psychologist might, such as cognitive behavioral therapy (CBT). CBT is a form of treatment wherein you train your brain to respond to certain situations more healthily. However, in certain cases, when CBT doesn't work, medication may be necessary to provide the soldier with some peace. Military psychologists can help the field in other ways aside from treating patients. They also do a great deal of research to understand why, for instance, terrorists do what they do and behave the way they behave. Military psychologists also perform analyses on missions soldiers carry out about peacekeeping and humanitarianism to help create procedures that can keep people safe and save lives. Military psychologists also study what is known as "tactical psychology." Tactical psychology is the study of the tactics that soldiers use upon being faced with an enemy. Specifically, the focus is on what the soldiers do that cause an enemy to freeze up or partake in any other activity that reduces the enemy's desire or ability to attack the soldier. Another area in which military psychologists are useful is occupational psychology. Here, psychologists can assist the military in achieving a broader sense of diversity while also reducing the instances of racial or sexual discrimination and assault. For instance, military psychologists help put females in positions that were otherwise previously held by men, and they help the females to both be and feel safe from discrimination and assault while holding those positions. Interestingly, research has shown that fewer female service members need counseling than male service members. It is believed that this is because females tend to ask for help when they are suffering, while men do not, believing that asking for help is a sign of weakness and that they should just "man up" and move on. In furtherance of promoting occupational psychology, military psychologists also assist with rehabilitating those soldiers who may have formed an addiction to substance abuse, as well as those who may have been wounded in battle. Military psychologists not only conduct the necessary treatment to rehabilitate service members, but they are also responsible for carrying out drug-testing services to ensure that recruits are doing what they're supposed to be doing. If you believe that you or someone you know is in need of the assistance of a military psychologist, our experts at BetterHelp can help. We're available 24/7 to give you the advice and information you need to make an informed decision about what your next steps should be. Is Freudian Psychology Still Relevant?